The fashionable hoodies have become the style statement for the young generation. College students have almost chosen it to be their attire. The flamboyance and the grace of the stylish hoodies for men have contributed towards it’s popularity. The hoodie manufacturers make it a point to produce attractive yet quality products. 1) The style quotient rendered by the hoodies is of the optimum level. 2) These can be worn for different occasions both formal and casual. 3) The hoodies can be a supplementary attire during the winter as well as the rains. You can design your own hoodies if you feel like. 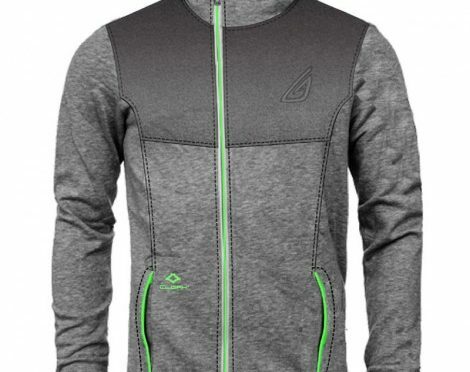 It includes everything from selecting your own fabric, the design, the color and every minute aspect of the hoodie. Lot of retailers and suppliers carve out their own product with the specifications of their own choice. The hoodie manufacturers USA give freedom to the retailers and suppliers to work minutely on every details and develop a product which is completely their brain child. In this aspect, the freedom of the retailers is never curbed. On the contrary, the technical team of the developers also interact with them. Each and every single hoodies are tested by the manufacturing units. The strict layers of quality assurance ensure that the satisfaction level of the suppliers and then the end users are reached with extreme ease and panache. Even the budding distributors knock on the doors of the producers to grab the distributorship. The confidence on the manufacturers can be reposed by sheer dint of high quality. The manufacturers dish out plenty of options regarding the colors, the cut of the pockets, the zippers and the messages on the hoodies. Although the options available are diverse and plenty but the quality remains uniform for every product. The suppliers go through the entire catalog and then buy in bulk to avail of the wholesale rates and discounts offered. This reduces the unit cost considerably. The benefits can be passed on to the end users making every stake holder in the business equally happy. The future of the hoodies is definitely bright.